Rick is a 5th generation owner of Fagen-Miller Funeral Home. In 2017 Rick became the owner of the funeral home when his father, Larry Miller, retired due to illness. He had worked side by side with his dad at the funeral home after graduating from Worsham School of Mortuary Science in September of 2002. Rick Married Sarah Marshall on August 31, 2002. He has 2 children; daughter Emma and son, Elijah. He is a resident of St. John and a deacon and youth leader at Community Baptist Church in St. John. Rick enjoys golfing, playing baseball and softball and is an avid Cubs fan. Rick volunteers for Meals on Wheels. Terri (Larry’s sister) has worked with the funeral home intermittently since 1976. Terri and her brother Gary owned and operated the Fagen-Miller Ambulance Service for many years. She worked for the Town of Schererville Fire Department Ambulance before returning to the funeral home full time. Terri is married to Jeff Bence and has 2 children; Jenni Rey and Billy (Elise) Webb, and 3 grandchildren, Rhiannan, Nicholas, and Evie. Terri, a resident of Dyer since 1981, was recognized as Dyer’s “Citizen of the Year” in 1987. She has served on the board of directors for both the Schererville and Dyer Chambers of Commerce, volunteers for Meals on Wheels. She enjoys family, trivia, and is a Chicago White Sox fan. Steve has been with Fagen-Miller since 1995. He is a Vietnam Veteran. He is a member of the following: American Legion Post 66 of Griffith, Highland Elks 981 and V.F.W. Post 717 of St. John. Steve grew up in Highland and worked with the Fagen-Miller Ambulance Service in the 1970's. He married Deb Pullins who has taught at Highland High School since 1980. Reene (Ma Miller) has been in the funeral business all of her life and lends her expertise whenever she feels Larry needs it. The matriarch of the funeral home Ma Miller is THE BOSS if she is not gone on one of her many travels. She has been an active member of the Dyer and Highland Historical Societies, Lincoln Highway Assoc, member and past-president of the Highlanders Grandmothers Club for over 29 years, member of Our Lady of Grace Church and the Highland Crime Watch. Reene was a member of the Munster/Highland Tir-Kappa for over 30 years and is now an associate member. 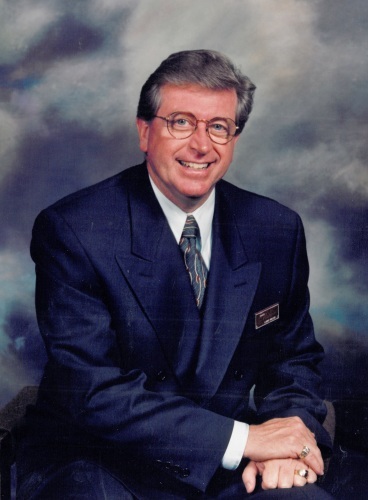 Larry was the fourth generation owner of the Fagen Miller Funeral Home. He began working with his father and grandfather in 1971 and became licensed in 1973. He managed the Griffith Funeral Home from 1974 until the sudden death of his father, Bob Miller in 1981. After his father’s death, he assumed the role of general manager. He was a member of Our Lady of Grace Church until he moved to St. John and became a member of St. Michael Church. Larry was active in local communities. His accomplishments include but are not limited to: President of the Highland and Schererville Chambers of Commerce, District One Director and Chairman of the Hightower Board of Directors of the Indiana Funeral Directors Association. He married Pat Qualls on April 27, 2002. He has four children; Kristi, Bob, Rick (Sarah) and Ryan (Gina), one step-daughter; Courtney (Gabe) Cabrera; and 6 grandchildren: Emma, Eli, Gloria, Hannah, Gabriel, and Graham.